Europay, Mastercard, and Visa have created standards for merchants to comply with if they want to continue to provide secure debit/credit card transactions. 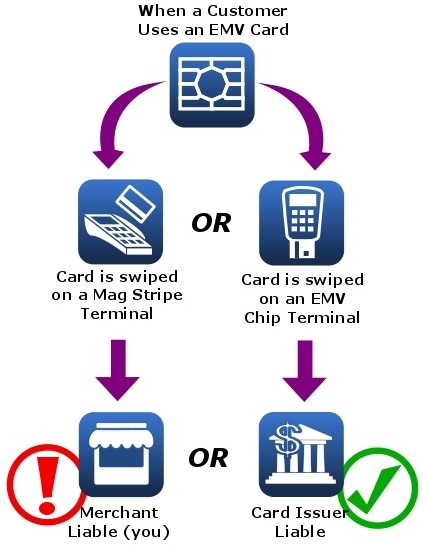 This new process involves cards with microchips embedded for heightened security and lower risk of point-of-sale transaction fraud. 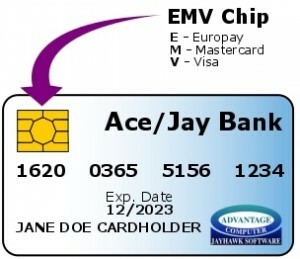 EMV card terminals are now required to accommodate this more-secure payment method. If merchants are not EMV compliant and card fraud does occur, the merchant is held liable for all damages incurred. By becoming EMV compliant and helping to prevent card fraud, the liability for all damages incurred are the responsibility of the card issuer.